Written for gay and straight people alike, Gay, Explained leads the reader on a journey that even the most educated may find surprising. Told in a warm and personal style, Gay, Explained weaves together the individual story of a man born Mormon and gay with the wide ranging stories from some of humanity’s most fascinating people. It is a history that stretches back to the drawings on cave walls and the stories of the Pharaohs, through the religion and philosophies of Greece and Rome, is illuminated in the art of the Renaissance, and runs up to the headlines of today. Most of these stories predate modern LGBT labels, so they are tales of shamans, priests, amazons, minstrels, two spirits, and global adventurers. From there the book covers the available science, where researchers find evidence for homosexuality and gender variation throughout the natural world along with genetic and biological origins in human bodies. Despite all the recent political successes, questions remain. Why are some people gay? Is it just a sexual preference, or is there more going on? Why do some people vary around gender and how is that related to sexuality? And if all of this is so natural, why does homophobia persist? The answers to these questions moves the larger discussion beyond mere facts and into the realm of meaning — exploring the purpose of gay people in families, society, and the world. 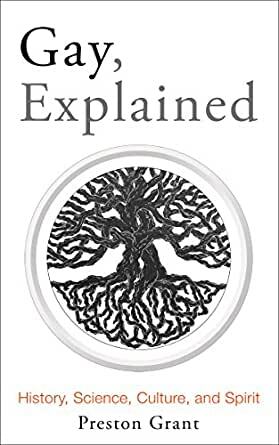 Gay, Explained is therefore an essential resource for parents, teens, friends, teachers, pastors, politicians, and just about everybody else. 5.0 de 5 estrellasFascinating, heart-warming, enlightening, brilliant! This wonderful book reveals the rich, fascinating, multidimensional roles that gay, lesbian, bisexual and transgendered people played in cultures around the world throughout history, and warm-heartedly lays bare the biological basis for their birthright of inclusion in our own culture. I believe the author’s caring, nuanced approach will open any reader’s mind further, no matter how open or closed it was before picking up this book. My mind was open, and I learned so much. If you’re GLBT, curious, or distanced in any other way from the hetero norm, and you want a guide along the path to help you understand the depth of your heritage and the irrefutable nature of your equality, look no further. If you want to understand someone in your life whose sexual inclination strays from the norm, this book will lead you towards your goal. If you seek a whole other level of depth on the subject, this book is for you. Gay, Explained is a moving and powerful book that will change people's lives. The author leavens his formidable intelligence and eloquence with humor, celebrating what it means to be gay. If you're curious and open-minded, and want to better understand the history, science, psychology and culture of being gay, this book will be enormously helpful, if not downright liberating. For gay people of all ages as well as family and friends who seek knowledge and reassurance, Preston Grant shares his wisdom and experience and opens his heart, and has given us all a valuable gift. What a read! I thought I knew all there was to know about being gay, but from page 1 it became apparent I could only scratch the surface. The author took me places I never knew existed. I would recommend this work to anyone who is gay, anyone who knows someone gay, anyone who wants to be enlightened, informed and entertained whether gay or not. Thank you, Mr. Grant, for compiling such an impressive piece of literature. Reading this book was a great pleasure for me. It put into perspective the vast history of the gay experience in an easy to read and compelling set of stories. This book would be compelling for the LGBT community, their parents, or simply people curious about the history of the gay experience. Very sensitively written and a great read. This is the book I wish had been available to me to read as a questioning young gay man – “Gay, Explained” is filled with interesting information and insights from many different perspectives, all told from a kind & loving, humorous, and gentle spiritual perspective. Even though I’ve been out for decades, read voraciously, and have been deeply involved in the gay community, there was new information here for me. The author covers a huge range of subjects and perspectives in brief, easy to read chapters. From up-to-the-minute details on research into the genetics of homosexuality; to insightful stories of homosexuals & homosexuality historically and in the Bible; to an interview with famed African shaman Malidoma Some’, with his insights into the spiritual role of homosexuals in his traditional culture, Preston Grant has written a tremendously personal, gay-affirming book that will be of great use to many of us. I can’t think of a better gift for any young people in your life, whether they be GLBT or just questioning and trying to understand the world a little better.